When a grant manager creates a grant program, it will contain related budget codes, budget line items, and optional budget gates and milestones. The budget codes are used by grantees to provide their proposed budgets, and hence to roll up totals for reporting. Budget gates are thresholds which are tied to project (grant) progress which is measured by milestones. In a building project, for instance, a payment may be triggered by 50 percent completion (a milestone) and tied to a pre-defined percentage of funds for which a grantee is eligible at that time. 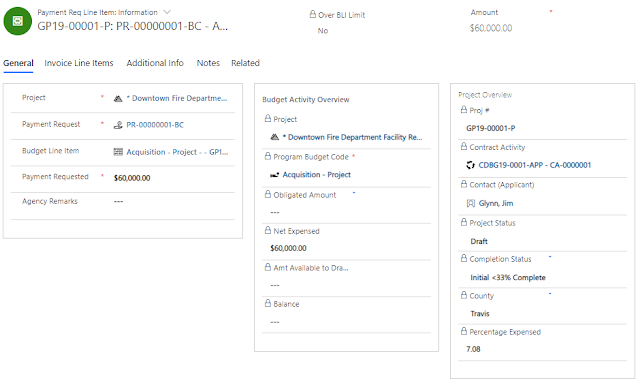 Like budgets, the milestone budget control gates are established on a program level where the system connects Program Budget Codes, Milestone Types and the percentage that the completion authorizes in a Program Milestone Budget Gate entity. Many grants involve vendors who provide goods and services to grantees. A payment request may include one or more vendor invoices which are used to provide proof or work and supporting documentation for auditing a grant. Vendor invoices may contain invoice lines which are mapped to budget line items and milestones. The create/edit payment screen shows the details of the payment request. It also allows creation of line items and submission of file attachments to the payment request. You may want to change some of the deadlines such as 7 and 28 days depending on your organization's business rules. When a new grant application is created, the budget/milestone structure is copied from the Program to the application. A grant manager may change it on an individual application level if needed. When a new Budget Line Item (BLI) is created, the set of Milestone Completion Gates is copied by system from the application/contract to this new BLI. 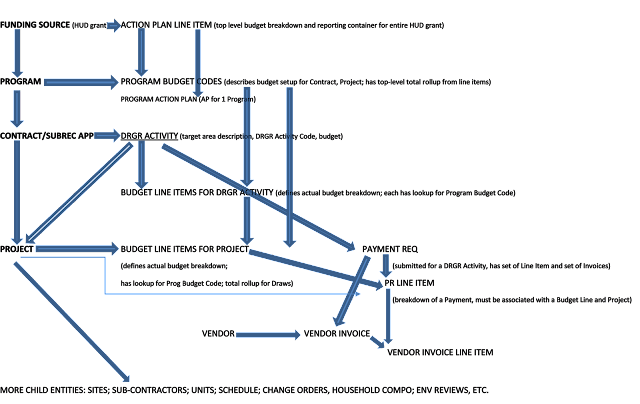 The review and approval process is based on a Dynamics 365 business process flow. It may include alerts to participants who review payment requests to notify them when a new request is submitted. Payment reviewers may also use dashboards which show pending review tasks. Dynamics 365 includes queues for work such as payment processing which allow activities to be assigned to a group of people rather than just to an individual. Together, these payment request features allow grantors to enforce management controls on their finances and ensure that they are in compliance with guidelines associated with their grant funding.